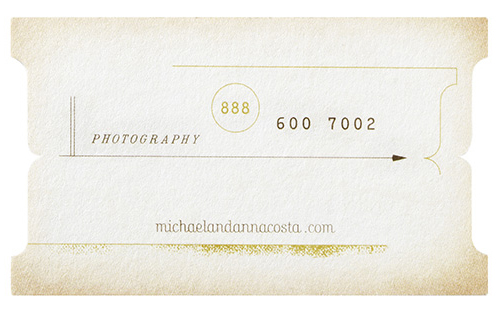 These business cards were brilliantly designed by Eric Kass for Michael & Anna Costa Photography. Michael and Anna Costa are distinctive, award winning wedding photographers in Santa Barbara, California who shoot in an imaginative, journalistic style. Their business cards are unique and memorable to those who’ve seen it – thanks to a custom die cut shape. The design embraces minimalist, with only the logo and important contact details on it.  The whole classic, vintage feel is perfect to deliver the artistic, creativity and professionalism that both photographers aimed to deliver while serving their clients. 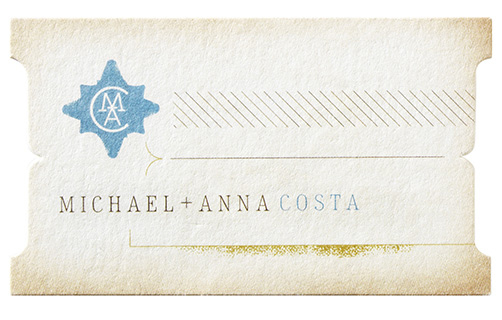 Michael & Anna Costa’s business cards were printed using offset lithography by Faulkenberg Printing.